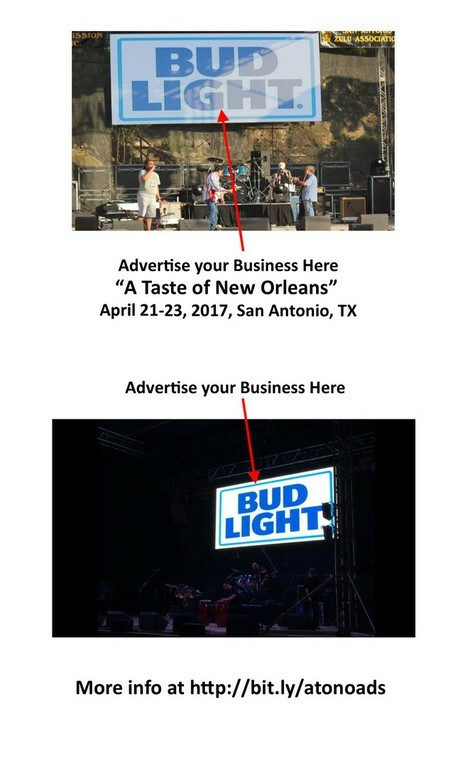 "A TASTE OF NEW ORLEANS"
Business Owners: Advertise your business during Fiesta San Antonio's most exciting event! 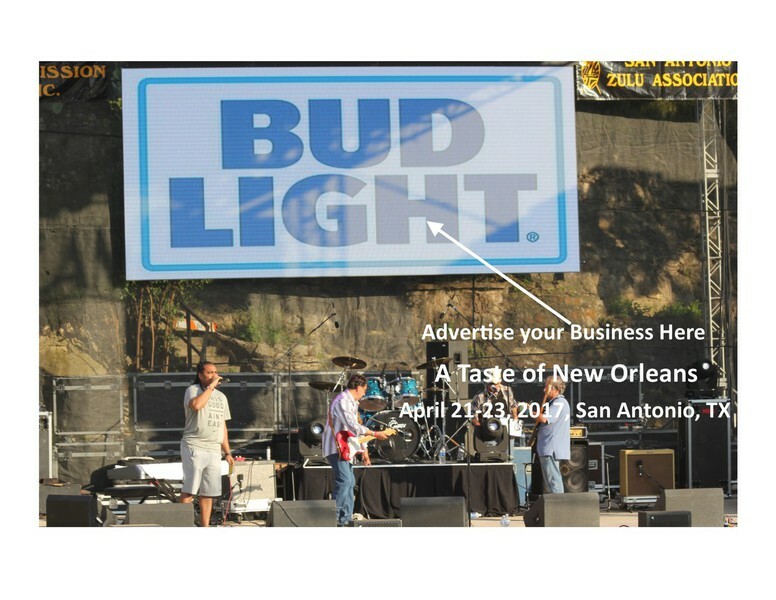 Advertising at "A Taste of New Orleans" puts your brand/company logo/business card in front of 35,000 diverse customers from throughout the San Antonio community. At a fantastic price! $500 gets your company showcased over the course of the event weekend over our giant video boards. If interested contact us at info@saza.org before all of the avaiable slots are taken.